Subrogation is the act of one party acquiring the legal rights of another after one has reimbursed them for the losses. Subrogation occurs in property/casualty insurance when Insurer indemnifies the policy holder for the loss or damage and then proceed against the party causing the loss – the tort-feasor. More often it is recovery pursued against the errant Carrier. The “Ocean Victory” ran aground during a terrible storm at Kashima, Japan on 24 October 2006. The Supreme Court in London published its judgment on the final appeal on 10 May 2017. The Court held that the port of Kashima was not at the relevant time an unsafe port (despite the judge at first instance finding otherwise). Like most commercial vessels, “Ocean Victory” was the subject of a chain of charterparties. Her Owners, bareboat chartered her to a related entity, on a standard BIMCO form of charter. They then time-chartered her another entity who sub-time chartered her and thus there were many charterers. Each charter contained a “safe port” warranty, so (in effect) when the vessel was lost one sued in chain reaction to another. Will try and post this interesting case in a separate post. The liability of the common carrier for loss of, or damage to any consignment, shall be limited to such amount as may be prescribed having regard to the value, freight and nature of goods, documents or articles of the consignment, unless the consignor or any person duly authorized in that behalf have expressly undertaken to pay higher risk rate fixed by the common carrier under section 11. 2. The liability of the common carrier in case of any delay up to such period as may be mutually agreed upon by and between the consignor and the common carrier and specifically provided in the goods forwarding note including the consequential loss or damage to such consignment shall be limited to the amount of freight charges where such loss, damage or delay took place while the consignment was under the charge of such carrier. Sec 12 of the new rules (the Carriage by Road Rules 2011) deal with the liability of Common carrier for loss of or damage to any consignment. Under this : 1) Liability of common carrier under Sec 10 for total loss shall be limited to ten times the freight paid or payable. Provided that the amount so calculated shall not exceed the value of the goods as declared in the goods forwarding note. To understand its grave implication : for example, in respect of a consignment of machinery worth 10 crores ( freight depends on the size and weight of the material or the volume that it would occupy) – freight for a distance say from Chennai to Bangalore is not going to be Rs. 1 lakh. If it is going to be say Rs.15000/- then the maximum of carriers’ liability would Rs.1,50,000/- . For a mischief or negligence of the carrier, the owner of the goods is going to incur a huge loss, if their goods are not insured. And when Insured, the poor Insurer pays upto SI of agreed value which could be Invoice value + a % markup, but in recovery would not be in a position to realize value restricted to 1.50 lakhs !!! So from Road, we move on to Rail ~ Railways, the Nationalised Career has a statue and does carries animals too .. .. the Railways responsibility as a carrier of animals is as per Indian Railways Act 1989, Sec 101. Responsibility as a carrier of animals.-A railway administration shall not be responsible for any loss or destruction of, or injuries to, any animal carried by railway arising from freight or restiveness of the animal or from overloading of wagons by the consignor. Where %age charge is not paid; where value of the consignment booked has not been declared by the consignor and percentage charge not paid on excess value, the monetary liability of the railway has been limited to: a) Rs.100 per kg. In case of baggage and luggage b) Rs. 50 per kg. In case of other items of parcel/goods 3) No compensation is payable in the case of luggage or baggage which is not booked and is in the custody of the passenger. For Animals: it is Rs.6000 for Elephants; 3000 for horses; 800 for mules, horned cattle or camels, measly 120 for dogs, donkeys, goats, pigs, sheep or any other animals not mentioned above or birds !! !! According to Carriage of goods by Sea Act, Clause (5) of Article IV, limits the liability of the carrier to 666.67 Special Drawing Rights per package or unit or two Special Drawing Rights per kilogram of the gross weight of the goods, unless the nature and value of goods have been declared by the owner of the goods before shipment and inserted in the Bill of Lading. However, this limitation does not apply in cases of proven acts or omissions of the carrier done with the intent to cause damage, or recklessly and with knowledge that damage would probably result. 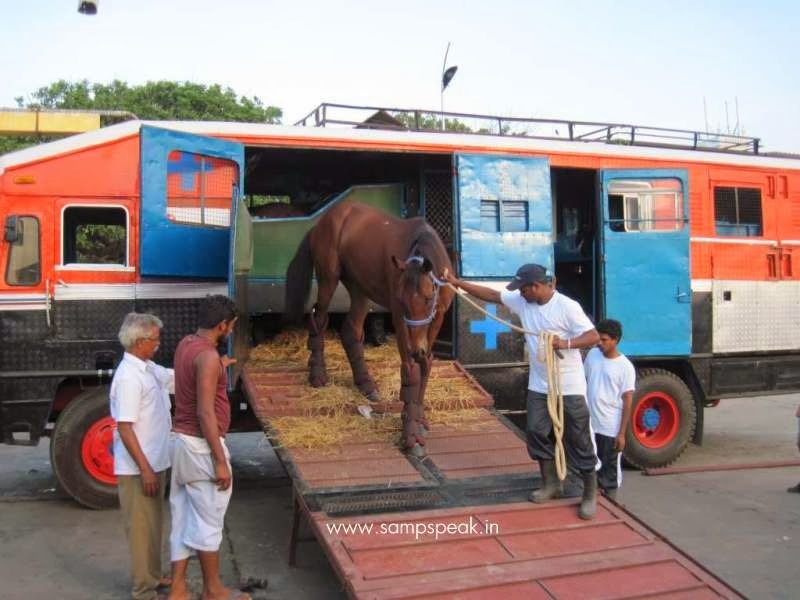 Race horses are costly – their owners spend handsomely for their upkeep and maintenance – they are transported in air-conditioned coaches, provided rich food, have good Veterinary care and handled with lot of care ….all their needs are minutely taken care of by a team which attends to it regularly ……. A royal life one tends to think !! ~ the position rather the liability of Carrier is far different in UK as read in this article in MailOnline. A family whose prized horse was killed when it fell through the floor of a 'death trap' £65,000 lorry have received a five-figure settlement. 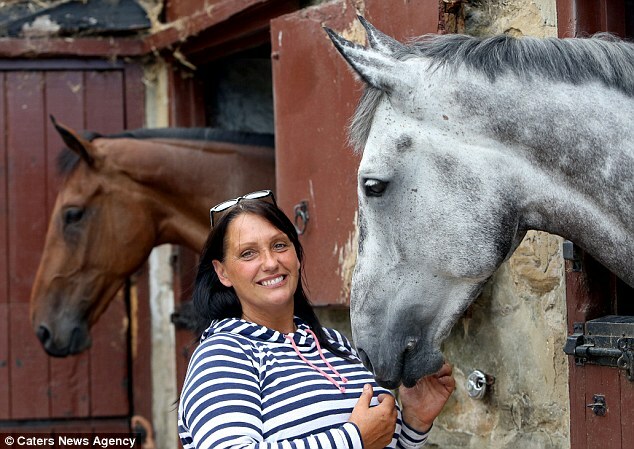 MailOnline reports that Carole Mutch was transporting eventer Gorsehill Echo to a friend's farm when it fell through the horsebox's 1.8cm plywood flooring in March 2015. The horse, thought to be worth £35,000, became trapped between the double wheels - breaking its leg and severing its hoof and had to be euthanized while still stuck inside the vehicle. It was claimed by Ms Mutch that Alexanders Horseboxes, who built the £65,000 lorry, murdered the horse, having cut corners when fitting the 18mm wooden flooring without the correct support. 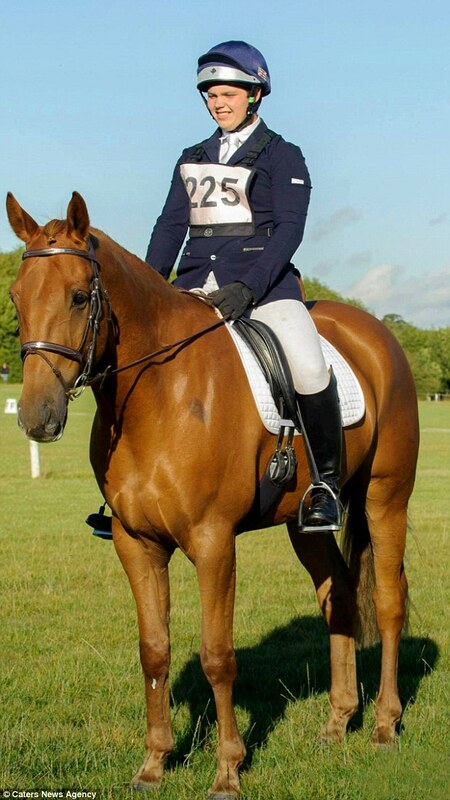 Ms Mutch, whose son Harry is a professional event rider, is now calling for the law to be changed so all horse vehicles are required to have sturdy aluminium floors. Alexanders Horseboxes said they do not accept liability and said it was important vehicles are correctly maintained and not neglected. The goriness of the accident was highlighted stating that the fire service that attended that day had to use 400 gallons of water to clean the blood from the back of the lorry. Ms Mutch had been taking her son's two horses to her friend's farm in Jedburgh, near the Scottish Border, so they could be exercised when she felt a bang and thought the lorry had blown a tyre. She was quickly flagged down by a passerby, who informed her she could see the horse's tail lying on the ground and it looked like it had fallen through the floor. Echo's hind leg had fallen through the floor and between the double wheels, causing a fracture above the hock, its hoof to become dislodged and extensive bleeding. A local farmer friend who was close by had to put the nine-year-old event horse down after it became clear the animal would not recover and was suffering. After the loss of their beloved horse, the Mutch family received a five-figure out of court settlement. 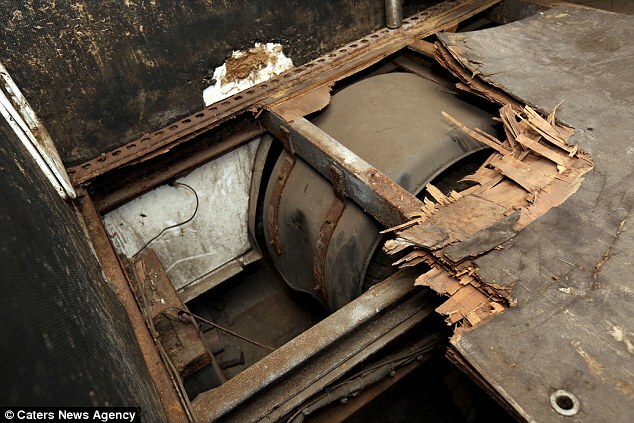 Alexanders Horseboxes said the horsebox was kept in a poor condition and accepted no liability for the tragedy but Ms Mutch claimed the floor was tested for traces of urine that could have caused the floor to rot, and none were found. A spokesman for Alexanders Horseboxes said: 'Despite the very poor condition the vehicle had been kept in, the claimant sought damages and, after due legal process, a commercial decision was made by our insurers to make an out-of-court award of less than 20 percent of the original claim. 'The horsebox was manufactured by another company, with whom we no longer work, and Alexanders Horseboxes acted only as the distributor in this case. 'While we have made absolutely no admission of any liability, all parties have accepted the judgment. Another case, another time, when there could be so many ‘if and buts’ of how the accident occurred, whether it was negligence, poor maintenance, improperly built, not adhering to laws, or adhering to law but still inadequate – end result, Insurers liable under their policy – make a settlement. For sure, this case too, offers lot of learning for all concerned. Ajit Wadekar is no more ! what connects Mehul Choksi and Andy Roberts ..